The BDCW takes the high road from Crickhowell. 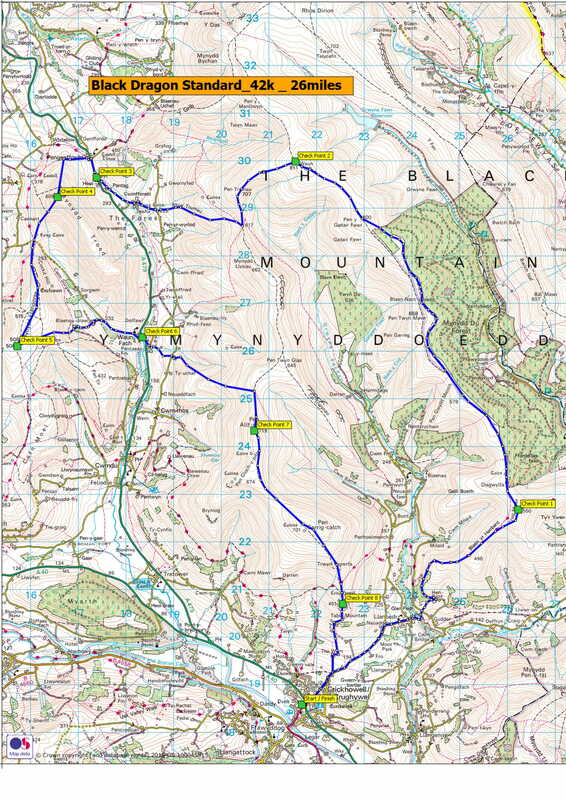 Passing Llanbedr, you climb 8 miles of whale-back ridge – so very characteristic of the Black Mountains – to reach Waun Fach, the highest point in the range. 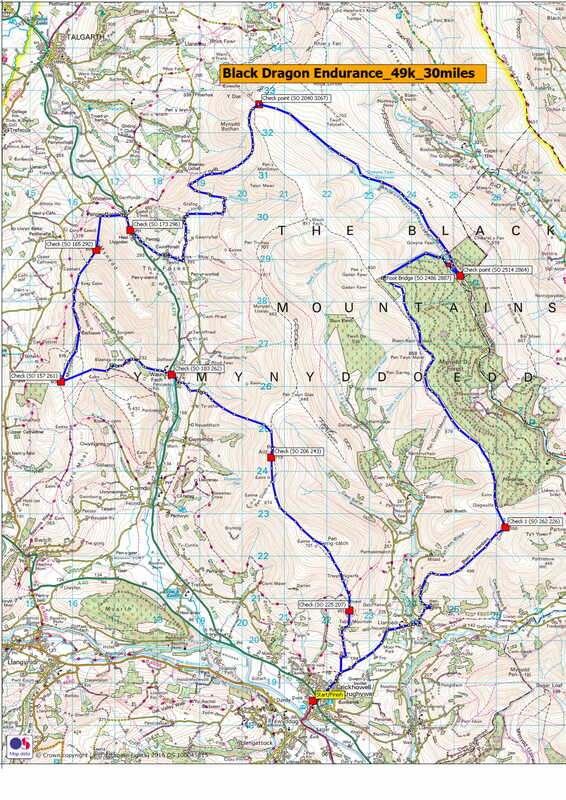 From here it’s downhill to Pengenfford, with cold drinks when you arrive. 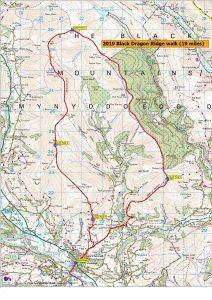 Mynydd Troed is a climb of 1,000 ft, followed by Mynydd Llangorse, and then you drop again to lower altitudes and more welcome cold drinks at Pentre. 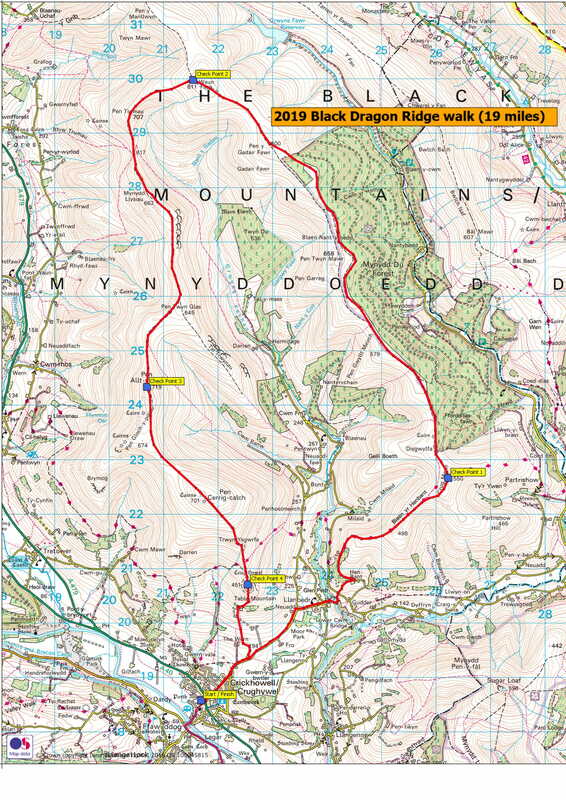 By now you’ve done 20 miles and you’re about to hit the wall – 1,800 ft of it – before you top Pen Allt-Mawr. 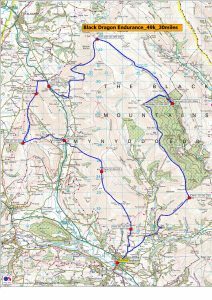 Then you can breeze along the ridge to Pen Cerrig-Calch, and finally it’s down, down all the way back to Crickhowell for well-earned drinks and refreshments. No dogs are allowed on this event as it coincides with the lambing season.